It’s not uncommon for the bathroom to be the most heavily used and underappreciated space in the home. Make sure that your client’s remodeled bathroom gets the recognition it deserves. At ProSource® of Monroeville, you’ll find eye-catching products and materials that make any bathroom stand out! 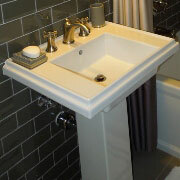 You can easily change the look and feel of any bathroom by replacing its sink. When it’s time to replace the old porcelain model in your client’s bathroom, you can find an attractive and modern style example at our showroom in Monroeville. 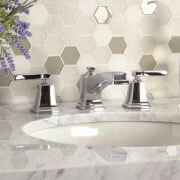 Help tie the decor of your bathroom simply by choosing a stylish new faucet. For homeowners who want their bathrooms to shine, you can find faucets in highly polished metals. For others who want a more subtle effect, consider choosing a brushed metal fixture. One of the favorite spaces in any bathroom, the shower always benefits from a bathroom remodeling project. At ProSource of Monroeville, you’ll find a comprehensive line of shower handles, doors, heads, and other accessories that can make this favored space into a beloved one. 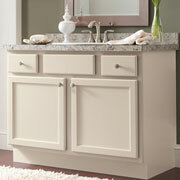 Vanities are a great way to update a bathroom’s appearance while also improving its storage space. When matched with a new sink and faucet, and accessorized with a decorative mirror, a vanity quickly becomes one of the most appealing features of a bathroom. 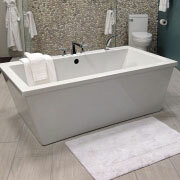 Your clients will love sinking into a brand new bathtub from one of the brands we have at ProSource. Choose from classic porcelain clawfoots to ultra-modern marble alcove tubs. Whatever you choose, your client will be sure to love their new tub. 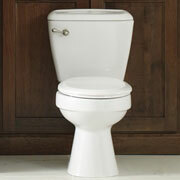 A new toilet is the perfect way to complete your bathroom remodeling project. For eco-conscious clients, work with a bathroom designer to find a low-flow, water efficient model that can help your clients save water and money.